Hahn Air is a German scheduled and executive charter airline. Since 1999 it offers indirect distribution services to other airlines and thus provides ticketing solutions to 100.000 travel agencies in 190 markets. With 20 years of experience, the company has established itself as the market leader. Today, Hahn Air’s partner network encompasses more than 350 air, rail and shuttle partners. Hahn Air offers its distribution services exclusively to transportation companies and ticketing solutions to travel agents only. However, travellers benefit as well as they are able to choose from more carriers, more routes and more destinations. 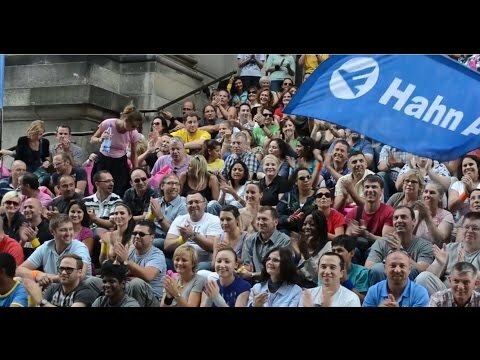 Every year millions of passengers travel between 4.000 locations using Hahn Air’s HR-169 tickets. It is the first and only airline worldwide that offers free and comprehensive reimbursement in case of insolvency of the operating carrier. Hahn Air is a member of the International Air Transport Association (IATA) and a globally connected stakeholder playing a leading role in the airline industry.